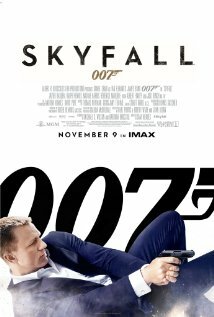 I really can't wait for the latest Bond flick, Skyfall. The tux, the cars, the gadgets - just hells yes! I even look forward to the newest theme song. I don't always like the song, of course, but I always want to hear it. This time around, Adele tackles the job. Here's a trailer featuring the song, so you can enjoy a little Daniel Craig too. What do you think? Other than Javier Bardem's wig is a character unto itself, I like it. The Bond song needs someone who can be sultry and just belt it out at the right time. My favorite of the post-Dalton Bonds has long been Tina Turner's Goldeneye, but this one might win out. We'll have to see. What do you think? Which Bond song is your fav?